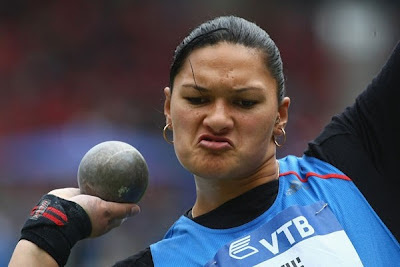 For the last week or so the Wekas and Kiwis had to chose what style we would like to use to write about Shot Put. I chose Instructions which are for people who have tried this sport but want to get better. I know that many of you out there have tryed a sport and want to take it further. If one of those sports is Shot Put , then who knows you might be another Valerie Adams if you read these handy tips on this post. *The wrist wrap. Which most athletes included in this sport use it to wrap their wrists to prevent serious injury or to give support. In Shotput you take your throw from a inside marked circle, with a stop board about 10 cm in front. After you put your shot it is then measured from the center of the circle . The nearest mark in the ground made by the heavy shot, is then rounded down to the nearest centimetre. When holding your Shot it has to be on the base of your fingers not on your palm and your fingers also have to be slightly spread out. First place the shot against your neck . Lower it until it is down near your jaw. Push the shot into your neck. Point your thumb towards the throwing direction. Your eyes up at the sky or ceiling. Push the shot away from your neck. Your elbows must stay high at all times , because if your elbow is lowered it can cause serious injury. Well There you go. Hopefully my handy tips have helped you get better at this sport. Thank you very much for reading!! 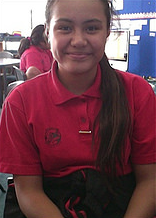 Keep up the good writing Jorja.